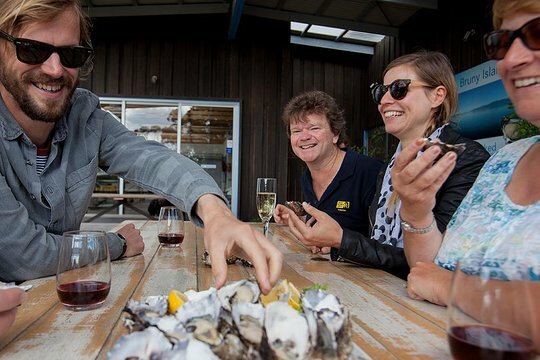 Explore Bruny Island through its cuisine on a tour focused on farm-to-table fare. With a guide to introduce you, you'll meet seven local food purveyors who specialize in chocolate, whiskey, honey, cheese, and oysters. Unlike in restaurants, you'll have the opportunity to not just eat great food, but to discover its origin too. Plus, visits to Two Tree Point and Bruny Island Neck are punctuated by a winery lunch. Begin your Bruny culinary adventure with pickup from your Hobart hotel or by meeting at the central booking center. Board a minibus and transfer to Kettering, where you'll take the 15-minute ferry trip over to Bruny (ticket included). While you travel, your guide shares orienting information on the island's flora, fauna, and geology. 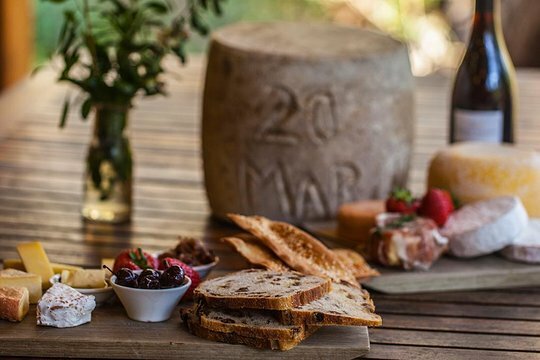 Once you land on the island, the first destination is a cheese company for a private audience with the cheesemaker. Learn about how cheese is made from sheep's and goat's milk, see the cheese maturing room, and taste some products before moving on to the local oyster company. Learn about harvesting practices, snap photos of the fields, and taste some freshly shucked at your table. Next is the berry farm, where you can pick some yourself (in season) and drink some berry tea before heading out on a short walk along the coastline to Two Tree Point. At a nearby nature reserve, search for the rare white wallaby, native birds, and echidnas. Refuel with lunch at an island winery, accompanied by your choice of wine. Tour the vineyards and taste some samples, followed up with chocolates at your next stop, a boutique chocolate purveyor. Learn about how the chocolate is made, and then continue your sweet streak at the local honey company. Meet the beekeepers, see the hives, and learn about the honey harvesting process. Head out to the Neck, where you can walk along the sand spit and dip your feet in the water. Get epic views of the Truganini Memorial and toast your delicious, educational tour with a glass of tasmanian whiskey from a local distillery. Head back to Hobart the way you came, via ferry and minibus.